Before I jumped online for some of the co-op that makes Wanderlust: Rebirth such a fun time-sink, I wanted to get a feel for each of the four classes in single-player. The four classes available to be selected are Fighter, Alchemist, Cleric, and Elementalist, and each one plays in a distinct fashion. First I tried out the Fighter, as it seemed to me to be the most straight-forward. As a Fighter, most combat seems to come down to timing: you use your sword to block enemy attacks, and then to attack them back before they can ready themselves again. All in all this is a pleasantly simple system, and I feel that any new player would be alright with this timing scheme. 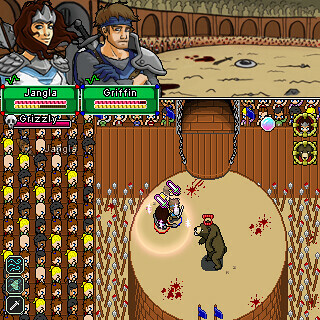 Once you have the basics down there is also a counter-attack system in which the player doesn’t raise their sword to block against an attack until the last possible second, which will then deal a critical attack in counter to the enemy. The next class I tried was the Alchemist. After the slow yet methodical combat of the fighter, playing as the Alchemist was a fast and frantic surprise. Capable of a normal attack with the selected weapon, yet unable to block, the Alchemist instead can steady himself, then dash quickly past enemies, dealing quick yet powerful damage as he sprints by. I had quite a lot of fun dashing back and forth through groups of enemies, then having to evade them until my energy refilled for more dashing. The alchemist can also toss explosive grenades that deal damage to any enemy in the immediate area. The Cleric might seem like the most difficult class to play single-player with, as she starts without very much offensive power: Besides her normal attack, as well as a block ability similar to the Fighter, the Cleric can also heal herself and nearby teammates, making her extremely helpful in co-op play online. However, if her and her companions are fully healed already, her healing auras also deal offensive Holy Magic attacks to enemies. Playing as the Elementalist class really changes things up a bit. The prior classes, although having different abilities, had all used essentially the same control scheme; a combination of a WASD movement system partnered with the arrow-keys for actions such as attack and block. When I started out as the Elementalist, the first thing I noticed was a cross-hair mouse cursor. I then discovered that the arrow-keys are not used for action, but rather the mouse keys: left-click to fire off one of two equipped spells at the mouse cursor, right-click to bring up a rune-screen for spell selection that isn’t dissimilar to the spell/song system seen in Aquaria. This control setup works well with the Elementalist, who is the only default ranged player class, and makes the game feel like an arena-shooter as you run around the screen avoiding enemies and shooting spells everywhere. After I had tried out each of the classes, I jumped online to check out some of the co-op gameplay. Starting out in a lobby/ready-room allowed for me to become acquainted with my fellow players, and we were able to discuss what chapters we wanted to play, and at what difficulty. Once that was sorted out, we began our session. As we played, I noted that certain areas were balanced more towards one class than another, with some enemies being more easily dispatched by the Fighter and Alchemist, and other by the Elementalist. The Cleric plays a constant role of support by healing and buffing her companions, but she often joins the fray as well once the enemies pour in. And pour in they did! In between various cut-scenes and dialogue filling in the story as we progressed, we faced near-constant action, confirming that Wanderlust: Rebirth is an action game: Each chapter has its bountiful amounts of enemies and hazards, and every time we reached a “Level Cleared” screen, I found myself having to settle back into my chair and take a breath or two while I distributed newly earned points into my character’s RPG-lite skill system. Don’t take that as me saying the game is stressful though; my time in the game was spent laughing and joking with my teammates rather than worrying and obsessing over a score – an atmosphere that I wish was found more often in multiplayer experiences today. Playing as a Fighter, I never found the game too hard, to the point of frustration, but rather that most areas can simply be beaten through brute-force if a player just wants to get through an area. 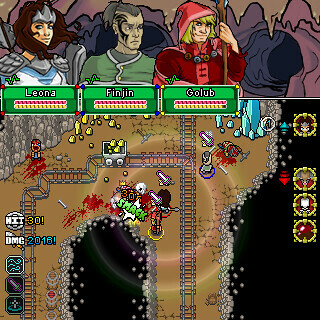 Simply smashing your way through a level will likely score you a 50% “score” on the level (accounting for points scored and player deaths), but if a player wants to get the satisfaction of clearing a level “100%,” then a bit more finesse is required: Teamwork and timing must flow together, and I often observed my fellow players debating what strategy – who should do what, when should it be done, etc. – would best serve us in a given situation. When a plan comes together, and your group exits a challenging fight unscathed, it is a rewarding feeling. Besides the Story Mode, there is also a Crawl Mode for players to see how long they can last against room after room of enemies, each more difficult than the last, and each offering better loot at the end. Another part of the game that I haven’t delved to deeply into is the crafting system. Yes, that’s right, there is a crafting system. As you play (either Story or Crawl Mode) certain enemies will drop various materials, which can be used in combination with a “recipe” item to create better gear for your character, from weapons to armor. While I haven’t yet been able to craft an item in this way, I have already seen that it can be quite additive trying to gather the right materials to craft that specific sword you want, or that armor piece you’ve been wanting for a while now. Players who like to discover and collect random and rare gear will have a blast with this feature. 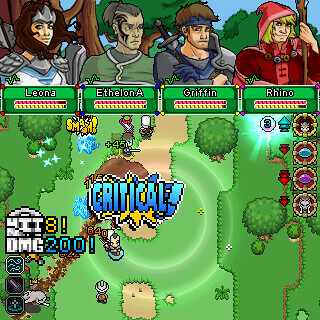 If there is one aspect I think I could complain about in this game, it would have to be that sometimes the screen simply becomes too busy; spell effects, “critical hit” bubbles, and similar effects crowd the screen at times, so much so sometimes that I lost my character among them. If a player is bothered by these effects, they can be toggled off in the settings menu, however I was never really frustrated by this but rather felt that it belongs in the hectic nature of the game. These effects are just a single part of some of the excellent artwork that can be found in Wanderlust: Rebirth. Everything from almost old-school pixel art to hand-drawn character portraits. One piece of art I was especially impressed with was a large enemy that actually began as a fully 3D model, then was rotoscoped over in the game’s pixel motif. It’s this sort of unique devotion that really shows the care behind the game and its design. 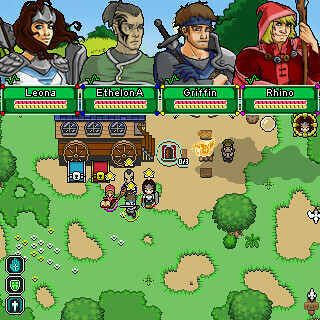 While Wanderlust: Rebirth is already a fun game that allows for a really great time with friends, Team Wanderlust is still tweaking the design and flow of the gameplay as well as constantly adding new content, large and small, ranging from how entire classes play, to allowing the player to select either gender for their character. There’s even rumblings of the possibility of expansions and sequels. It’s the things I’ve mentioned here – the fun times with friends, the care put into gameplay and graphics, and the continuing support based on community feedback – that I love the gems of the Indie Game field for, and I’m glad to see this game finally enter that field after so long. Your comment wasn’t technically a comment Honest Guy. You could at least say something like… wow this game looks great I can’t wait to play it! Most importantly, how do you play this game co-op? Does it offer offline couch coop? If so, instant buy. Ezuku, you could play “LAN” with the “JOIN BY IP” option in the game. Just leave the IP field blank. I meant as in multiple people playing on the same PC. I’ll assume the answer is “no”, which is a pity becuse there’s such a shortage of them on the pc. Well, just tried it again — same problem. I guess the developers are all left-handed? Cause WASD to move while using arrow keys as attack/block buttons just feels wrong. I haven’t tried the gamepad option yet but judging from the keys it probably uses shoulder buttons to move, start button to attack, etc. There is gamepad support, too. In fact, I play with a gamepad 99% of the time. Just plug a gamepad in, go ESC > OPTIONS > ACTIVATE GAMEPAD, and the GAMEPAD OPTIONS to change your buttons around how you like them. You can customize the gamepad to be whatever controls you want via gamepad options in the menu. There’s also an epic mode for those that beat the 10 chapters with a silver star rating or greater that really pushes team play to the limit. Hazards that could once be ignored in normal mode now become instant death if not avoided properly. All mobs gain a great boost in health and damage as well as some areas spawning different mobs. One of the aspects of the game I find particularly rewarding is the secret bosses. Finding each one and being able to defeat them without aid may sometimes be tedious but very rewarding. It’s true, but the left thumb’s movement had been built up from years of Mario — I feel like WASD only really works well for games where movement can be a bit sloppy, it’s just too much to ask of poor lefty! I guess what I meant was, given that arrow keys + z/x/c is the typical layout for PC games these days, it feels really wrong to do it backwards. I can’t believe people still use the phrase “after the jump”… I just wish this saying was erased from journalism entirely. I wish you would stop spamming your inconsequential and tangential foolishness after the articles here on TIGSource. We will see if we can get some kind of control swap option in the options menu. (arrows would move, WASD does the actions). Hopefully we can. How dare you speak to me this way! 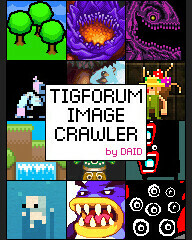 Don’t you know I am the sole administrator of this TIGSource.com? actually dungeon defenders offers exactly what you’re loking for, check it out after you buy wanderlust! The patch it out, and it has Lefty Mode in the options! A PvP mode would be cool. 4 on 4 combat could be a lot of fun.